New Block of the Months! and we will be more than glad to get you signed up! Also, please contact us if you have any questions. This block of the month runs for 9 months and costs $32. each month. Kits includes pattern and fabrics to complete the top as well as binding. Current Block of the Months! Available to sign up anytime! Contact the shop if you are interested. -Please be aware that when you sign up for a BOM you are making a commitment for the entire time the program is ran. -When your sign up for any BOM, the entire kit and patterns have already been bought by our shop; we have already incurred the expense. Unfortunately, there will be no cancellations allowed. -Please review your packets each month to make sure you have received everything you were supposed too. We try very hard to make sure everything is right, but there are some rare occasions where a mistake is made. If this happens, we will make every effort to correct the mistake. However, if we are notified later or after the BOM is over, we cannot guarantee we will still have the exact fabric used, so please always check your packets each month. -We are more than happy to mail out our BOM's. An additional shipping fee will be added to your monthly fee. We charge the exact price of shipping; the fee could range from $1.50 for standard shipping to $6.25 for priority shipping. The cost depends on location and weight of items being mailed. Club is a time to sit and relax, learn about new things going on in the shop, and share your show-in-tell. Club fee is $30 for the year, and while you are here and stay for the meeting you will receive 20% off your purchase of regular priced items. The first Wednesday of each month starting at 1:00 p.m. and starting at 6:30 p.m. The first Saturday of each month starting at 10:30 a.m.
You are welcome to choose which day and time you would like to come each month, you are not bound to just one meeting time. Come to whichever meeting your schedule permits! Wool club meets on the second Saturday of each month at 10:30 a.m. If you are interested in doing a wool project but didn't know where to start, this is the group to join. From beginners to advanced - everyone is welcome. Wool club fee is $30 for the year. You will also receive 20% off your wool supplies purchase when you come and stay for the meeting. nd continue each month after that. You are invited to join a unique monthly club that will take you on a journey back in time. 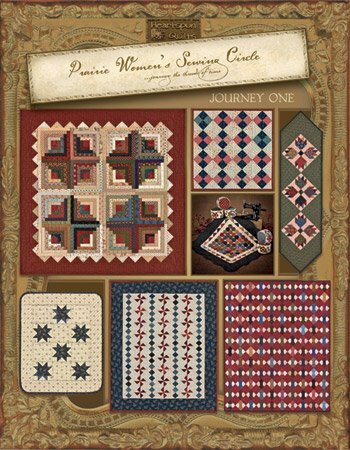 Gather together as the "Prairie Women" did, and hear anecdotal stories about their quilt making, and what daily life was like for those who traveled by wagon train on the Oregon Trail, to the lives of quilter's during the Civil War, and the years of women's suffrage for equal rights. 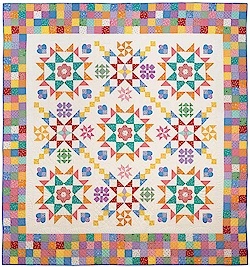 Not only will you learn how our quilting ancestors created quilts by "Making-Do" with what they had, you will be invited to do so yourself!!! We are finalizing all the details, so be sure to look for future information, or contact the shop if you have any questions. Kits will be available each month if interested.